Courtesy of Lil Kim’s InstagramLil Kim is being threatened with a $150,000 lawsuit for allegedly stealing the artwork she used for her “Dead Gal Walking” single from a Canadian artist. According to TMZ.com, Samantha Ravndahl is proceeding with a demand Kim ”cease and desist” using the art after asking The Queen Bee for payment in November and not receiving a response. If Kim refuses to pull the artwork, Ravndahl says she will file the lawsuit. 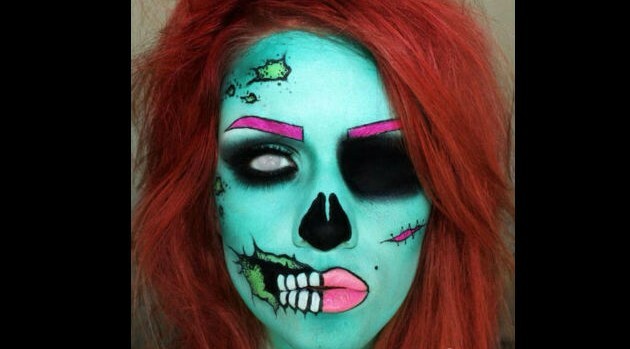 She states she is not only the artist, but also the woman in the eerie photo showing exposed parts of her skull. Ravndahl says that Kim used the photo on her website and Instagram account and also inserted her own copyright logo.